Takeaway: If you’re always on the go, these quick, healthy recipes will be the key to your success! Find both lunch and dinner recipes, whether you’re looking for vegan and vegetarian-friendly recipes or simply looking for a low-carb option. If you’re always on the go, these quick, healthy recipes will be the key to your success! Some experts argue that lunch is just as important as breakfast, which is why it’s important to plan ahead. Don’t be the person who gets stuck in the long drive-thru line at a fast food chain for the sake of not skipping a meal. It is essential to prioritize your health goals and plan ahead when it comes to your diet. Here we provide a list of easy-to-follow lunch recipes that are nutrient-dense and only take a few minutes to make! If you are the type of person that is always on-the-go, we recommend making these the night before or prepping them in advance to use throughout the week to save some time. This recipe is perfect for when you have no idea what to cook for lunch. 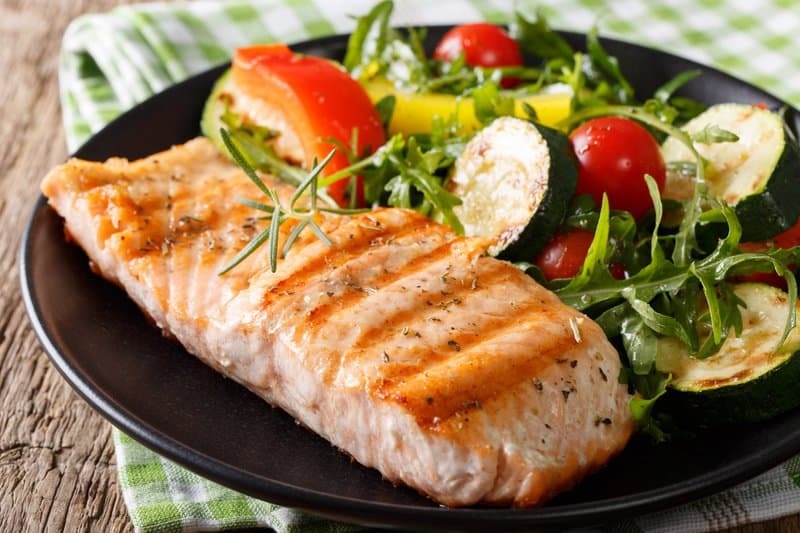 All you need to buy are some salmon fillets because you most likely already have all of the sauce ingredients in your pantry or refrigerator. In this recipe, the salmon is cooked in a 5-ingredient sweet, savory, and garlicky sauce that will become your taste buds new obsession! On a bed of crisp greens, alongside some cold roasted asparagus, a piece of this mustard-brushed salmon is absolutely delicious. It’s also just as good cold as it is hot making it an easy option for lunch if you’re on-the-go. Forget Chicken Caesar wraps (those are so the 2000’s); salmon Caesar wraps deserve all the rave these days! We love quick, healthy recipes with a well-deserved upgrade, and this recipe has done just that. Crisp romaine is swapped for leafy kale, while rich canned salmon takes the place of chicken. Wrap it in your favorite tortilla for a quick, healthy, and nutritious no-cook meal. A light and easy, feel-good lunch (or dinner) you can make in a snap. This is quick and delicious and takes 10 minutes to prep and 10 additional minutes to cook! 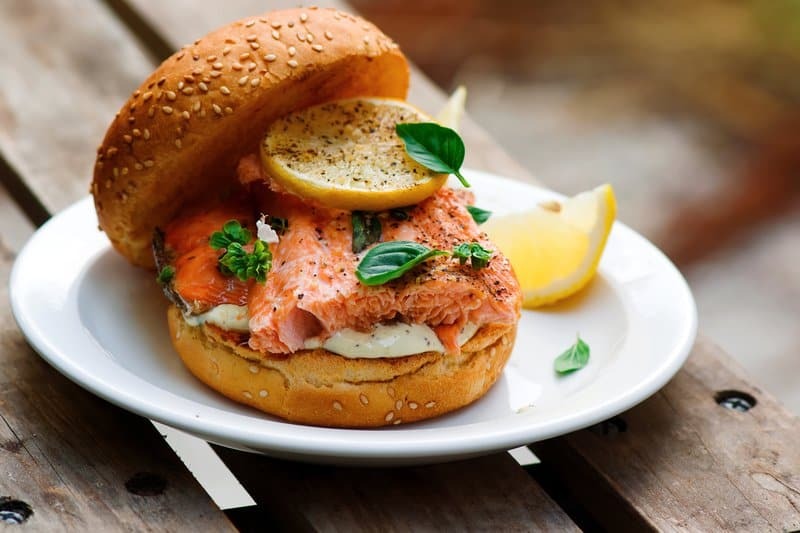 So, whether you prep it the night before or chose to make it while you work from home, this is one convenient and tasty salmon burger recipe that you need to try! This is the easiest way to make salmon in foil. Baked it over a bed of asparagus to infuse the asparagus with flavor. Season the salmon with lemon, onion, and dried oregano for a rich, juicy flavor.This salmon recipe is gluten-free, paleo, and low-carb (suitable for keto). 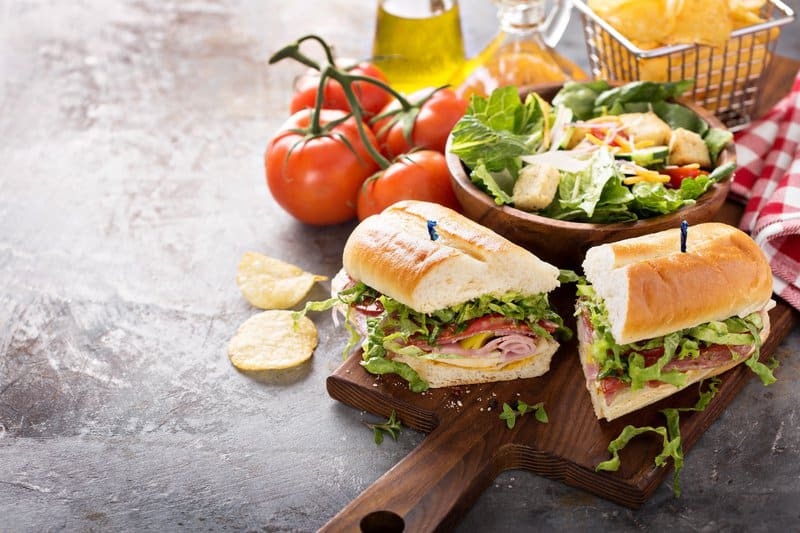 Sandwiches are easy to make, convenient, and tasty which is why they need to be included in this list of quick, healthy recipes. This simple vegan sandwich recipe is inexpensive, easy to make, and packed with protein to keep you going through a long day. This healthy lunch is also filled with healthy fats and antioxidants. 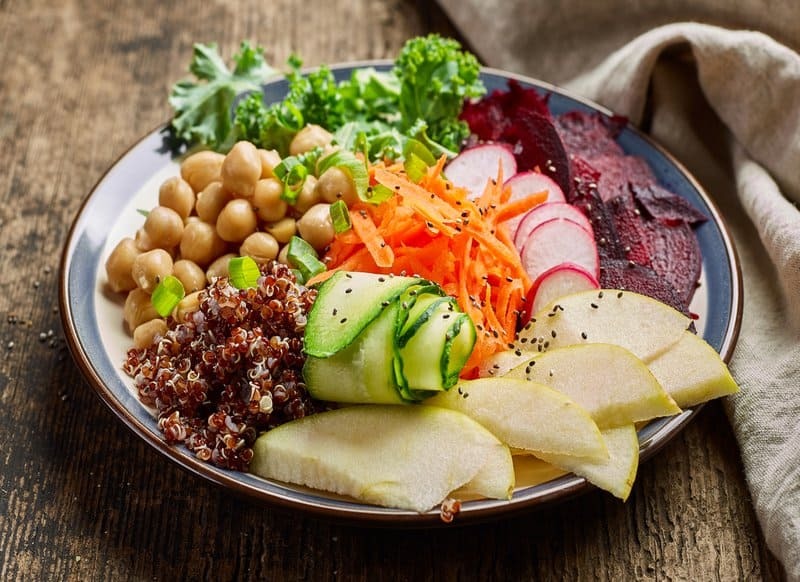 This healthy vegan recipe tastes so good that your non-vegan office BFF might just be breathing over your shoulder and asking can “I have a bite of that?” This recipe is the ultimate protein and antioxidant bowl for vegans everywhere. The best part is that this lunch recipe will hold you over till dinner time! An impressive and mouthwatering meal doesn’t need to take hours. 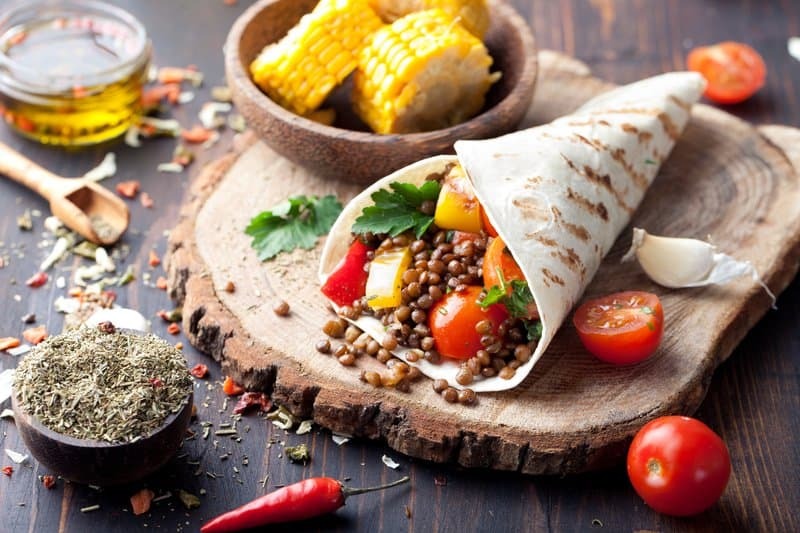 These delicious vegan tacos will only take you 5 minutes to make! This recipe is highly customizable, so feel free to add more or less of the toppings that you like, love, and crave! If you have tomato paste, non-dairy milk, some spices, and 5 minutes – you can make this delicious creamy vegan tomato soup! Both almond milk and cashew milk work delightfully with this recipe, so take your pick! Serve a cup of this warm and creamy vegan tomato soup alongside a yummy chickpea salad sandwich or quinoa salad for a complete and nutritious lunch. This veggie wrap is loaded with healthy veggies, crunchy apples, and a spicy hummus to give your taste buds an extra kick. This recipe is all about tasty texture. The broccoli slaw in this wrap is firm and crunchy, the apple slices are fresh and crisp, and even the leafy greens give a bit of chew. You can even throw in some sunflower seeds or chopped walnuts for extra crunchiness! Flavor up butternut squash with Indian spices for this warming and healthy vegan soup. Once all the ingredients have been cut-up and chopped, the soup only takes about 15 minutes to make.This is a great recipe to keep handy the next time you’re searching for quick, healthy recipes to prepare for the upcoming work week. Your family, friends, and co-workers will all be asking you to spread the love and share the warmth (A.K.A. make some more). A good amount of Italian beef sandwich recipes involve slow cookers. However, we found a recipe that saves you plenty of time and still tastes amazing! As long as you are okay with using thinly sliced deli roast beef than you can add this to your list of quick, healthy recipes to try! The secret to this moist and flavorful Italian beef sandwich is a savory beef broth juice that is used to cook all the ingredients and then later used as a dipping sauce. If you find yourself many nights too tired to come home from work and spend 2-3 hours in the kitchen, we’re here to help! 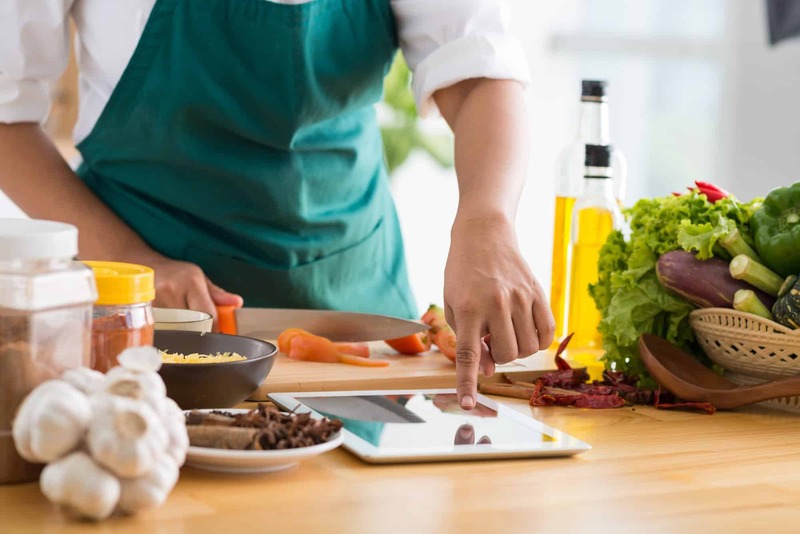 We searched the web to find some of the healthiest and most nutritious dinner recipe ideas that you can make under an hour. This family-friendly dinner recipe comes straight from Campbell’s Kitchen. Get a full 37 grams of protein with this recipe that involves using a can of Campbell’s Condensed Cream of Chicken Soup. This chicken dinner is ready in just 15 minutes! This honey garlic chicken recipe won’t break the bank–only 5 ingredients and 15 minutes are all you need to whip up this dinner. Fair warning, this sauce is so good you’ll want to pour (not drizzle) it all over your plate. It’s got sticky sweet honey, the salty, rich soy sauce, a kick of garlic, and a hint of spice from the red pepper flakes. The chicken is ready in about 15 minutes and pairs perfectly with just about any side dish, salad, soup, sandwich, or just by itself! This recipe yields about 8 servings, so you can feed a family of four and then some. Your kids will never know you forgot about dinner when you whip up this last minute dinner! 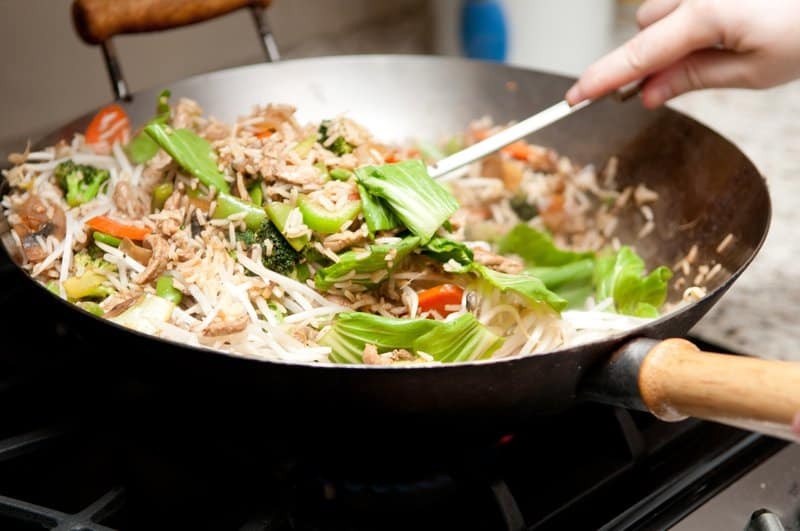 Why settle for a grilled cheese sandwich when you can whip up an incredibly delicious chicken stir fry in 15 minutes with this recipe? This recipe comes together with a combination of Yakisoba noodles, veggies, and a few condiments. 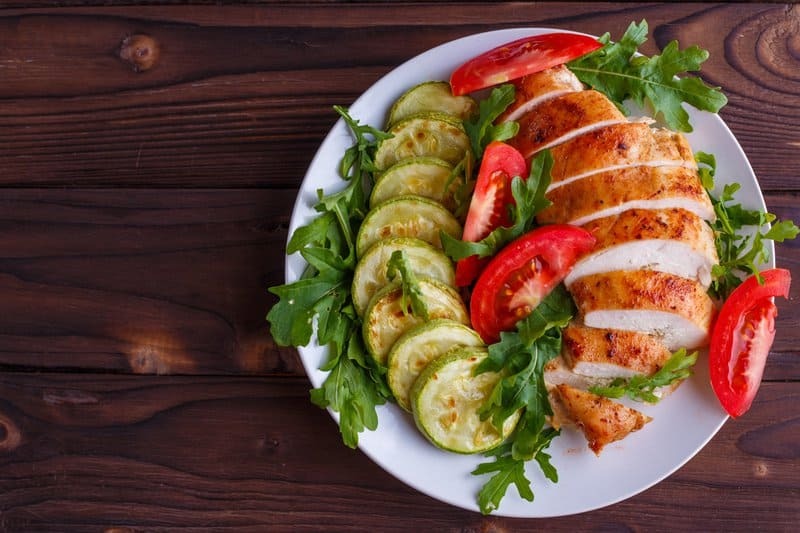 This recipe might even take you less than 15 minutes if your chicken is already chopped and ready to go before getting ready to cook. Sneak a ton of veggies into this lighter spin on a classic meatloaf recipe. For sweet and tangy flavor notes, douse it with a tomato, molasses and mustard sauce just before baking. This classic comfort food recipe replaces 8 oz of meat with 8 oz of mushroom for a much lighter and healthier alternative. Meatballs are a crowd-pleaser, and your guests are going to love this cocktail meatball recipe! To make this recipe a bit healthier, you can replace the all-purpose white flour with either brown rice flour or chickpea flour. 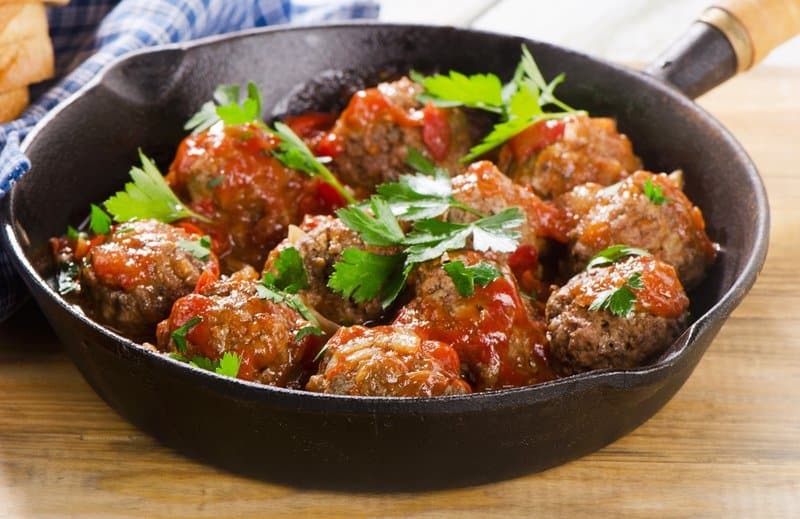 This recipe is ready in 20 minutes and yields 4 dozen meatballs; enough to feed your whole guest list! A healthy gluten-free version of beef enchiladas that will make you fall in love! This is one healthy recipe that does take a little over 30 minutes (but less than 40) to make, but it’s well worth the wait. This low-calorie recipe is just 223 calories per serving! This 15-Minute Quinoa and Korean Beef Bowl is the perfect quick, easy and healthy dinner recipe that also makes great leftovers. 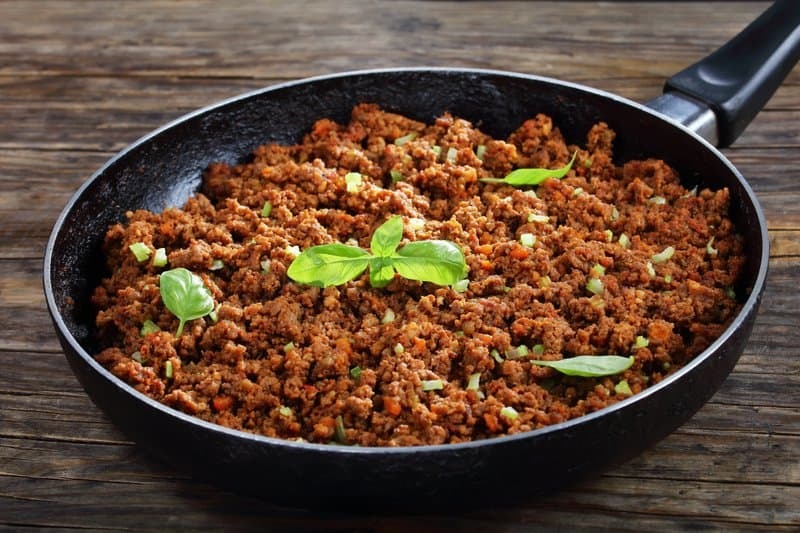 You can use either ground beef or ground turkey for this Korean beef recipe that’s full of flavor and protein. If you are watching your carbs, eliminate the grains and toss the Korean beef on a bed of salad instead! Easy, no-fuss quesadillas that are perfectly crisp and amazingly cheesy. This recipe is an absolute must for those busy weeknights when you have to whip something up before the kids get home or before going to late night happy hour with your girlfriends! Nothing warms the heart like a nice, flavorful, and colorful soup. Unlike other soups, this one is packed with plenty of protein, fiber, and calcium. Try this recipe the next you feel under the weather. This is a low-fat, high-fiber dinner choice. Sweet potato is a great substitute for hamburger buns in this quick, healthy recipe. The yogurt in this recipe gives these turkey burgers a ton of moisture and plenty of flavor. Quick, healthy recipes are all about balance, and this recipe is a great example of exactly that. This casserole recipe is packed with the right amount of protein, carbs, and fiber. Swap out the white rice for brown rice to save some calories and add more nutrients. If you find yourself pressed for time on a weeknight, this beef chili recipe is calling your name. This recipe is ready under an hour, and your whole family will be in for a last minute treat. Top it off with green onions, cheese, and sour cream to complete this classic family dinner. Making a healthy cup of chili does not have to be boring. This spicy turkey chili recipe is ultra flavorful when prepared with garlic, jalapeño, cumin, and chili powder. Top it off with shredded cheddar cheese, and you’re good to go! 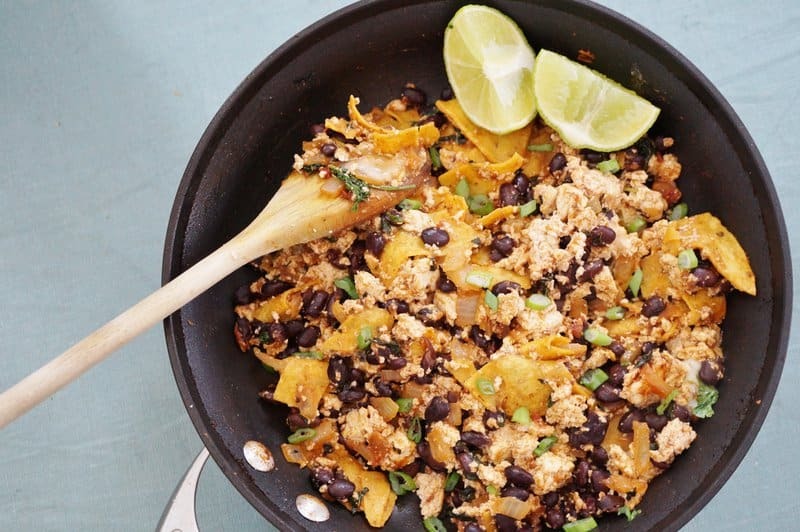 This quick, healthy recipe is packed with protein and veggies! It is classic in flavor, thick in texture, and ready for any and all of your favorite chili toppings (we highly recommend avocado and cheese). This is a whole-food based recipe that is Paleo friendly! If you like shrimp and love garlic, you need to five this fast, simple, and delicious recipe a try! This recipe only takes a few ingredients but has a whole lot of flavor! Pair with brown rice or a cup of your favorite veggies for a well-balanced and complete meal. Tender shrimp and fluffy rice cooked all in one pan in under 15 minutes. 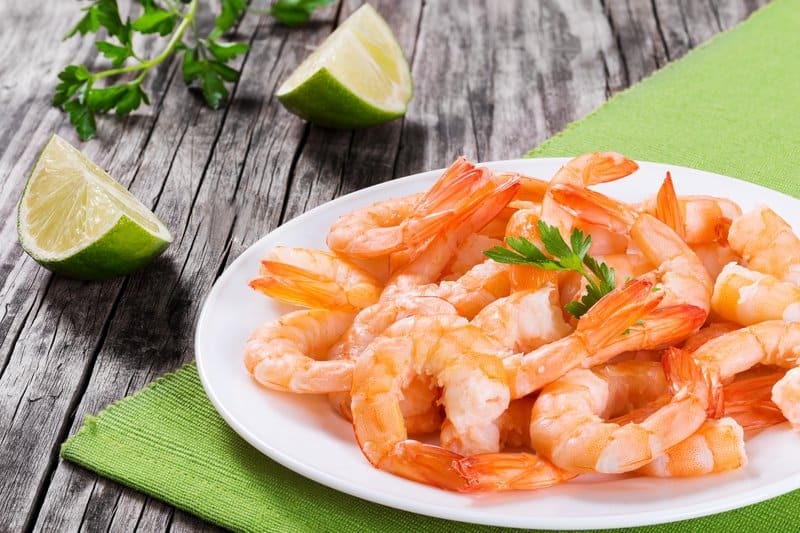 To make this dish, you will need jumbo shrimp that has been deveined and cleaned, quick cooking rice (basmati or minute rice), onion, garlic, and spices. This garlic and spice infused dish is packed full of flavor and will become a new favorite in your household! We love the convenience of this quick and easy pasta recipe with just a few ingredients. 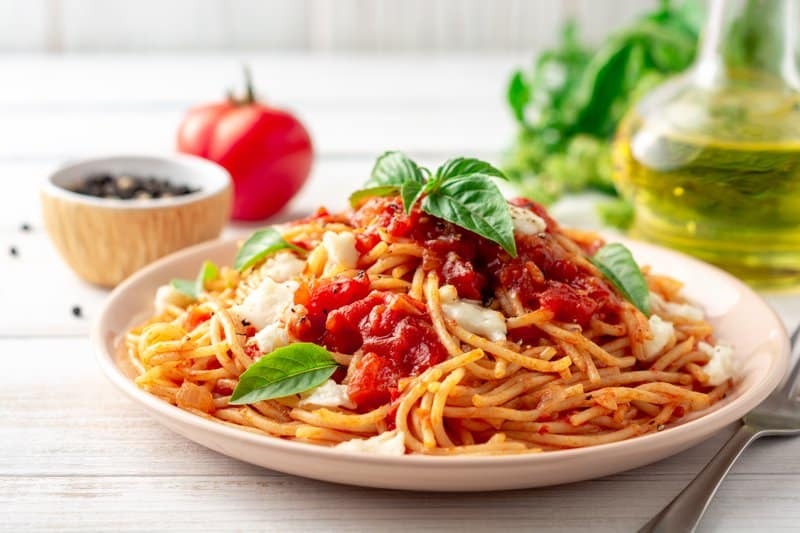 This pasta recipe is the perfect meal to come home to after a long day of work, school, or dance practice. Your family will soon be asking you to make this tasty pasta dish every week! This recipe will make it look like you spent hours in the kitchen! This dinner dish is an elegant, delicious, and nutritious way to enjoy a Friday evening with your spouse when the kids are spending the night at grandma’s house. This recipe is so light that you don’t have to feel guilty about indulging in a glass of wine (or two). Add portobello mushrooms and egg whites to the standard ground beef for a meatball with a fraction of the fat. Serving them with whole-wheat spaghetti makes for a hearty, wholesome meal that is high in fiber! This is a recipe even the pickiest eaters in your family will enjoy. The broccoli in this recipe is low in cholesterol and high in vitamins which packs this pesto pasta with plenty of nutritional value. Using walnuts instead of the traditional pine nuts is less expensive, subtracts calories, and adds fiber. You can serve over whole wheat pasta, or try brown rice pasta for a gluten-free alternative. 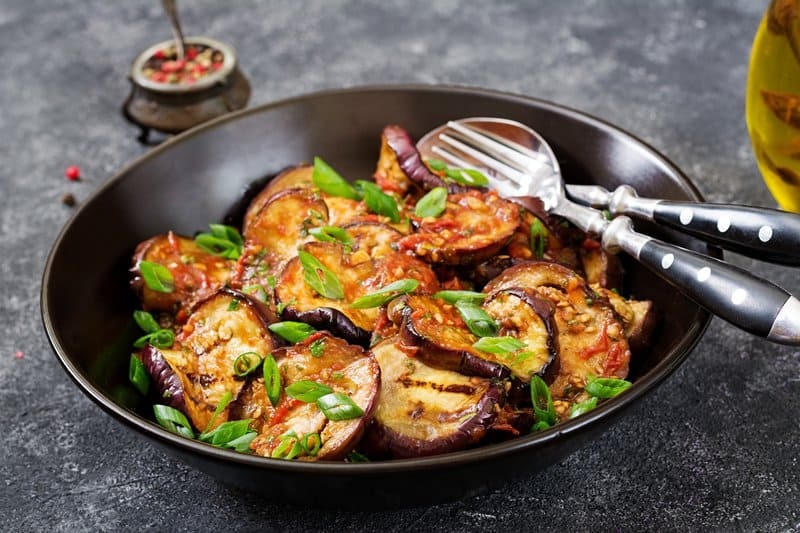 This simple eggplant recipe yields 12 tasty servings to either pair with a lean protein of your choice or eat it by itself! At only 46 calories, feel free to help yourself to multiple servings of healthy and nutritious recipe! This roasted eggplant recipe yields an easy and delicious dish on its own or to complement so many other recipes! Kosher salt, black pepper, and oil roast these babies to perfection in just 25 minutes. Eggplant is full of key nutrients such as fiber, potassium, and vitamin C! A full can of chickpeas will make 2 generous servings of this recipe. You can even arrange this on a larger pizza crust or piece of flatbread if you plan on having company over. The tzatziki can be made ahead of time, and the chickpeas come together really quickly. Try this quick and delicious street food mashup on any busy weeknight. A delicious, spicy blend, packed full of iron and low in fat. This creamy soup is ready in under 30 minutes and pairs well with your choice of a garden salad! This dairy-free, healthy recipe can also be made in a slow cooker if desired. Tender vegetables soak up this tangy marinade and turn delicately smoky and tender on a hot grill. At only 58 calories, you can have yourself a few kebabs and a tasty side of brown rice, veggies, or fruit of choice! This recipe is high in vitamin C and calcium. This recipe is a must try for all foodies (not just vegans) because it’s just that good. However, we do recommend proceeding with caution if you suffer from a peanut allergy as this is a key ingredient in this recipe. This fiber and potassium filled soup is ready in just 30 minutes! Low-carb recipes are hard to come by, but they do are out there!This recipe is an easy and amazing dinner idea that’s also Keto, low-glycemic, gluten-free (with gluten-free soy sauce), and South Beach Diet friendly. If you’re looking for the best-stuffed chicken breast recipe or how to make stuffed chicken breasts, then this is the recipe for you! Boneless, skinless chicken breasts stuffed with the tangy flavor of feta and the vegetable goodness of almost a pound of spinach. This recipe is super popular, and your entire family will love the taste of it! Try this low-carb steak recipe with unexpected spices and greens to elevate your typical steak and salad. All you need to season the steak is coriander, salt, and pepper. Then, cook them to each one of your family member’s liking and prep a delicious side of salad. Maybe you’ve mastered the art of cooking a nice salmon, steak fillet, or breast of chicken; but you aren’t really sure how or what to pair it with. Below are two of the most commonly searched side dishes: homemade bread and red beans with rice. After reading through several recipes, we narrowed each side dish recipe down to those which we thought sounded the most delicious, nutritious, and easy to make. 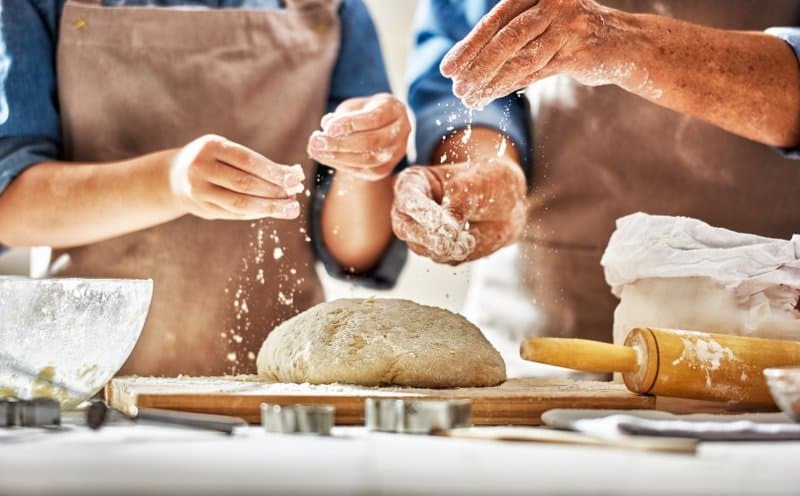 What makes a quick bread recipe quick? A bread that is made without yeast and can be prepared and baked with minimal time needed is considered a quick bread.This bread recipe embodies just that, giving you the option to be either savory or sweet. This recipe is highly customizable and allows you to make endless variations–add your own twist and make any flavor combinations you can think of! Quick healthy recipes that are low-carb are always a plus! This low-carb bread is loaded with all sorts of nutritious seeds and flours that make the loaf mimic classic bread while managing to keep carb counts low. This bread is a vessel for both sweet and savory toppings and works as a great side of bread for almost any main course or meal. If what you’re looking for is a sweet dessert-like bread, then this is the recipe for you! This bread recipe is just sweet enough to pair with a salad, cup of soup, and a nice cup of coffee the next morning. Because this bread tends to be a bit higher in calories, you might want to keep the main dish on the light side. Why you might prefer this recipe: This dish will enable you to whip up red beans and rice in less than 10 minutes! It’s as simple as sautéing your ingredients, mixing in the beans, and stirring for a few minutes. 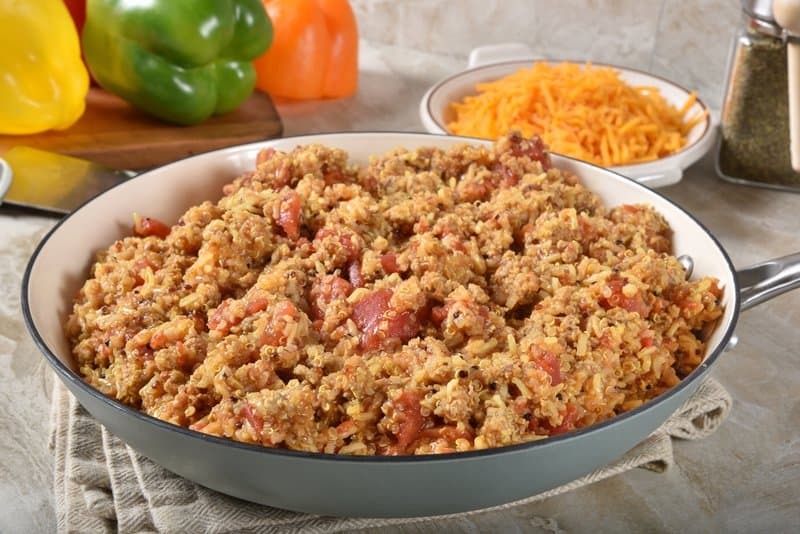 Aside from the ingredients in this recipe, you can also add in some chopped pieces of ham to add flavor and make this side dish the main dish! Why you might prefer this recipe: A savory, high-quality tasting dish of red beans and rice takes at least an hour, so we’ll use the term “quick” lightly here. This recipe is a quicker version of the Cajun/Creole classic red beans and rice. 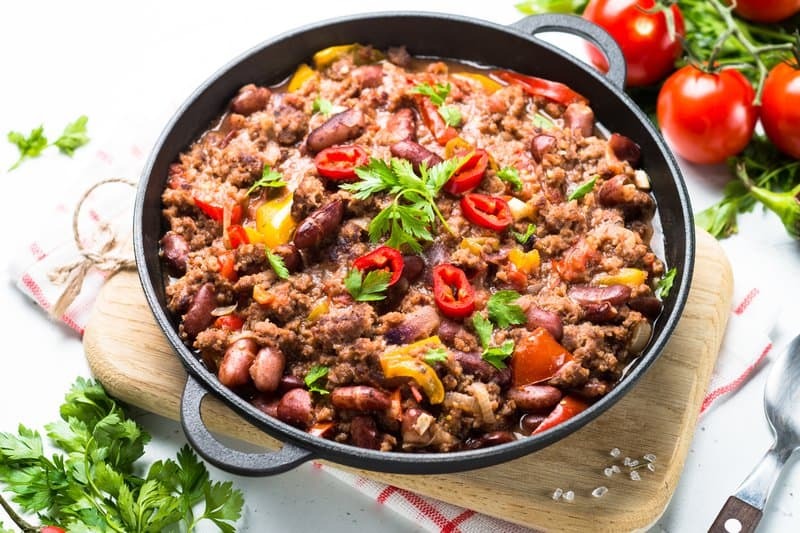 To make this tasty texture, you need to season and simmer a combination of canned kidney beans, cooked bacon, and chopped veggies. For this specific recipe, andouille sausage is the recommended option. 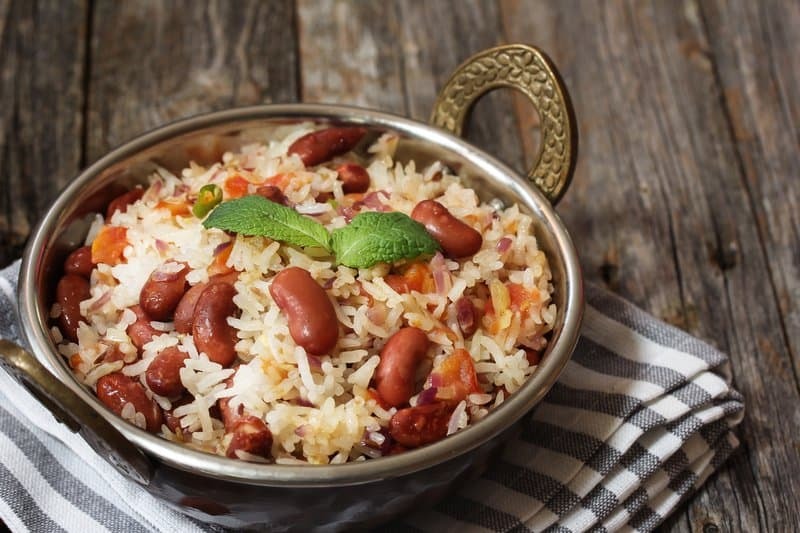 To keep this recipe under an hour, make sure to put your rice cooker to work while you prep the ingredients needed to start cooking the red beans.